Tired of fishing for eyeliner or lipstick in my cosmetic bag, I decided to create a custom travel case from scratch. The main materials for this DIY Accessories project were vinyl, silk charmeuse fabric for the shell, as well as buckram for added support and velcro for closure.Basic machine and hand sewing supplies completed the list. 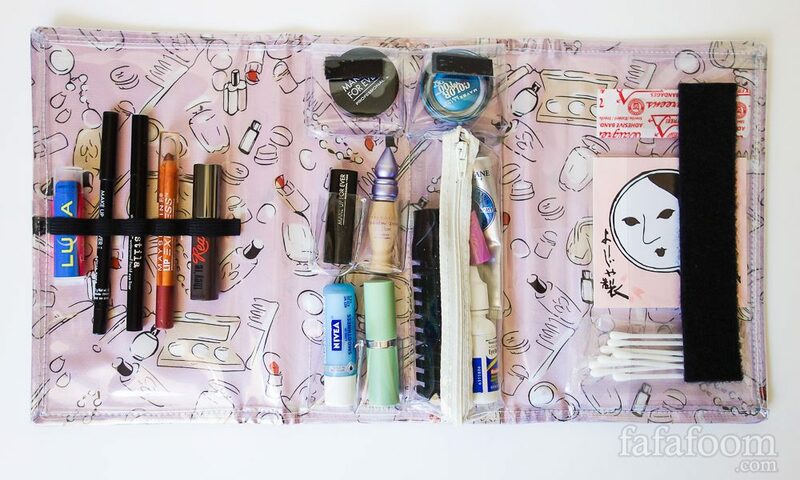 Read more about this project by visiting DIY Travel Makeup Case: Staying Organized on the Go post.